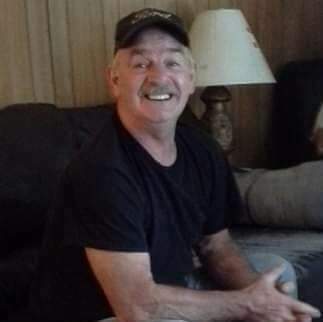 Volly Junior Sturgill, 62, of Eolia passed away Sunday, February 10, 2019 at his residence. Volly was the son of the late Jake and Violet Stidham Sturgill. Surviving is his wife: Betty Lorene Sturgill; 1 daughter: Elizabeth Sturgill of Virginia; 2 brothers: Earl Sturgill of Auburn and Winston Sturgill of Dry Fork; 1 sister; Doris Tigner of Virginia; 5 grandchildren: Nikki Smith, Cody Smith, Lauren Smith, Tyler Johnson, and Candace Johnson. Volly was preceded in death by 2 sisters: Rosie Taulbee and Dovie Holland. Funeral: 1:00 O'clock P.M. Thursday, February 14, 2019 at the Franks Creek Church with Billy Lewis officiating. Visitation: 6:00 P.M. Tuesday at the Franks Creek Church. Burial will follow in the Maggard Cemetery at Partridge, Kentucky.